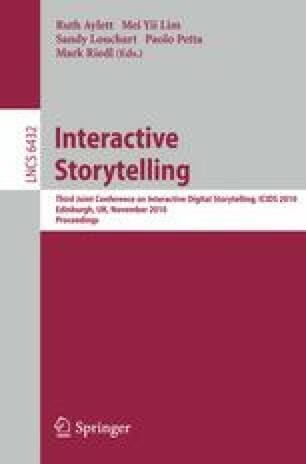 The last 10 years of research in the domain of Interactive Digital Storytelling have led to several advanced systems , often based on Artificial Intelligence, which have been demonstrated on stories usually created by the systems’ inventors themselves. To leverage the potential of these systems and to create more and particularly more compelling interactive narratives, it is essential to involve experienced story creators as authors. These authors often have an intermediate level of creative experience in some storytelling discipline, as well as certain knowledge of information technology. However, they may lack the technical and conceptual knowledge that is necessary to grasp the complexity of the systems produced by research groups. This explains why few of them have dared to write stories for the above mentioned systems. On the other hand, current storyworld creation by engineers lacks the conceptual knowledge of creative principles for narrative and drama.